Upon shipping of the goods you will receive a confirmation via email. The shipment tracking is available when dispatched via UPS and Dachser with assistance of a tracking code starting approx. at 7.00 pm of the shipping day. The tracking code and the current status of your order are also available in customer section > "My Account " > "My Order". 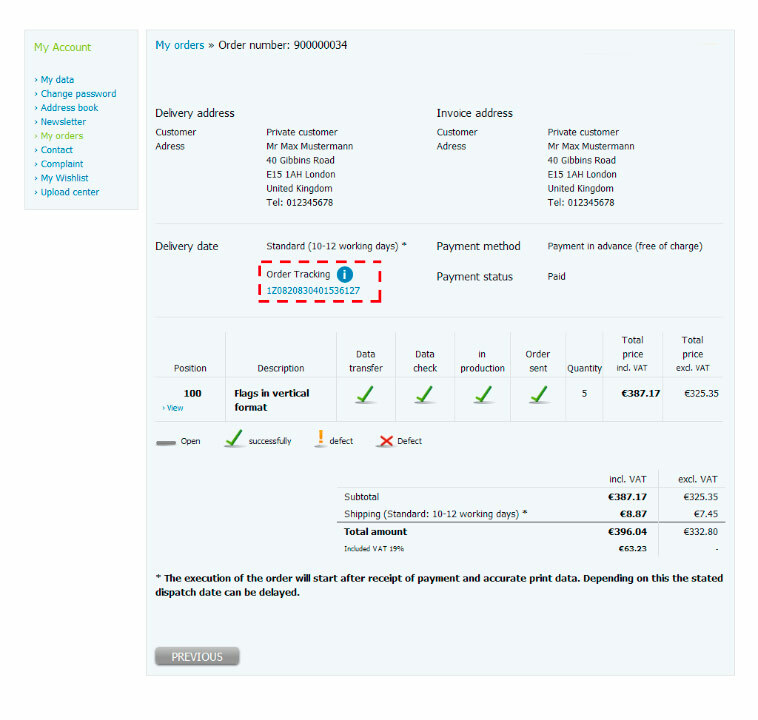 Select the appropriate order in this section to view the status. With UPS My Choice®, you can decide how, where and when your private shipment should be delivered. In addition, you will receive an anticipated delivery and status notifications. You may also set and change holiday absence and delivery addresses. Whether online or mobile, UPS My Choice presents your schedule before arrival of the package.